Let’s say you’re a food blogger who loves to share recipes you’ve concocted or those that were passed down from several generations in your family. You post every single thing on your blog, making sure not to leave out important details like the specific ingredients and the thorough preparation steps. Not too long ago, your friend decided to jump onto the blogging bandwagon and also decided to cover food. But you may have noticed that your friend does it a little differently. While you painstakingly write down everything and share the link on your social media accounts, your friend uploads videos on a daily basis. Before you know it, she has gained tons of followers in a single month — more than you have gathered in a year. So you start to ask yourself, what have you been doing wrong? Now it’s not a question of what’s gone wrong, but more of what you haven’t been trying to do. Using lengthy words to eloquently express yourself might seem smart, but audiences prefer information that’s easy to digest. Admit it. If you happen to come across videos on Facebook, you pause to watch. Whether it’s a DIY tutorial video or a quirky ad, it piques your interest. We’re fed with a lot of information everyday, so not everybody has the patience or the time to finish reading an entire article if they’re only mildly interested. Sometimes, adding a video packs a kind of punch that other forms of media can’t. 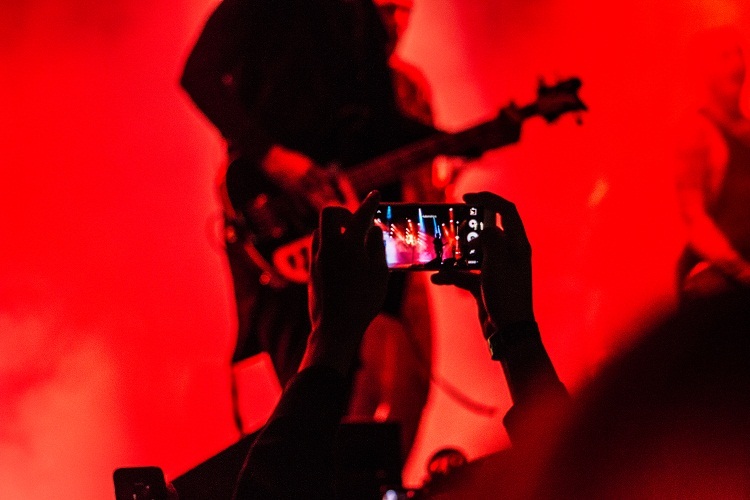 According to a piece on Movidiam, by appealing to our senses through both sound and images, video — if used correctly — has the power to engage, provoke, and convince potential customers. 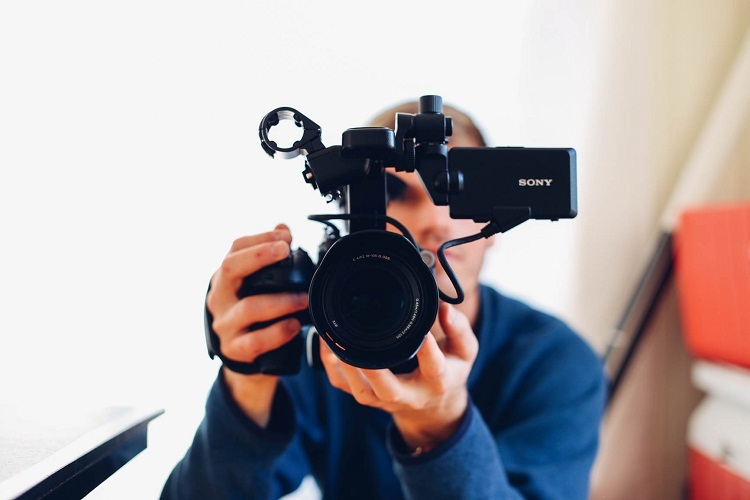 In fact, a recent study by Wyzowl shows a whopping 82 percent of businesses feel video is an important part of their marketing strategy and 63 percent of businesses are already using video as a marketing tool. Because video is accessible anywhere and everywhere, more people are whipping out their mobile phones to watch them. In Singapore alone, studies point out that 88 percent of people own smartphones while 87 percent own TVs. This illustrated how gadgets like mobile phones and tablets are replacing the television as the first screen for video. The same study by Think with Google shows how Southeast Asian countries have been reporting much higher rates of smartphone video viewing than the West: 72 percent of people in Thailand versus 41 percent in the US. The FilmoraGo Video Editor is as good as any PC editing program. You can create a slideshow of your media files and do some basic editing like trimming, merging, and adding background music plus other effects. It also has an easy-to-use intuitive interface so it wouldn’t be that long before you can share your video with others. A must-have for every iOS device, this popular app makes it incredibly easy to start editing videos. All you need to do is choose your clips then add the titles, videos, and effects. The best part is that it also supports 4K video for stunning cinema-quality output. Take your pick from several styles, creative filters, and extra-special effects to create that share-worthy video. If you want to create an instant video, then this just might be the app you’re looking for. Magisto helps you easily create professional videos for your brand or business with user-friendly editing tools, captions, custom branding, and commercially-licensed music. It can also automatically select the best parts of your video clips and images then add your chosen music, themes, and effects. It may be user-friendly, but it’s one powerful editor. PowerDirector offers powerful timeline video editing, free video effects, a photo video editor, slow motion plus voice over and action movie effects to produce and share great videos. You can also produce 4K movies. Just like the name suggests, Quik lets you create beautiful videos with just a few taps. They claim that editing will never be this fast – or this fun. Choose your favorite photos and video clips from your gallery, albums, Google Photos, Facebook even GoPro Plus then let this app analyze your footage to find the best moments. Customize it by adding transitions, effects, and music – and you’re good to go. The only full-featured professional video editor for Android, KineMaster supports multiple layers of video and images (with a drag and drop feature by using your fingers), text, precise cutting and trimming, multi-track audio, precise volume envelope control, color LUT filters, 3D transitions, and more. Its handwriting layers also let you draw directly on the video. Want to take your video editing skills to a whole new level? Used by mobile journalists, filmmakers, and professional video producers, this powerful multi-track video editor gives you the kind of quality you get from a desktop video editing software. LumaFusion may be quite complex compared to the other apps, but don’t fret. They have video tutorials, free support, and a community of enthusiasts and professionals to guide you along the way. Are you a blogger or writer in need of an awesome portfolio to showcase your work — perhaps even show off some of your mad video skills? Build yours for free at C2 Live. The Key to Great Content Marketing? Pitches.